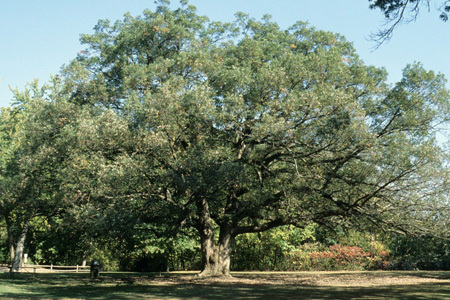 “Oaks are the quintessential wildlife plants: no other plant genus supports more species of Lepidoptera (butterflies and moths), thus providing more types of bird food, than the mighty oak,” said Douglas Tallamy. According Tallamy’s research on woody plants ranked by ability to support lepidoptera species, oaks are the highest ranked! Oaks support 534 lepidoptera in the mid-Atlantic (US) region. 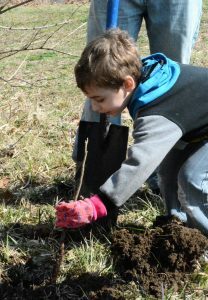 This March, the Cincinnati Zoo & Botanical Garden Family Community Service Program came together to plant 1,000 baby trees at Bowyer Farm in Mason, Ohio. 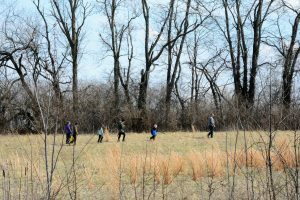 The trees were a mix of red oak, black oak, flowering dogwood, spicebush, and juniper. These trees will help diversify the woodlands at Bowyer Farm and provide increased varieties of food and shelter for wildlife. Many caterpillars, unlike anything ever seen—even alien in appearance—can be found on the undersides of oak leaves, munching away or sheltering. These insects and caterpillars are the basis for wild ecosystems. “Restoring large stands of oaks to suburbia would go a long way toward shoring up the future of our nation’s biodiversity,” Tallamy suggests. If you are interested in maintaining, supporting, or creating self-sustaining diverse ecosystems where you live, work, or play, it’s a good idea to do some research about the plants and trees in your area. You can provide beautiful, vital habitat for pollinators by adding pollinator-friendly plants to your yard and landscape. 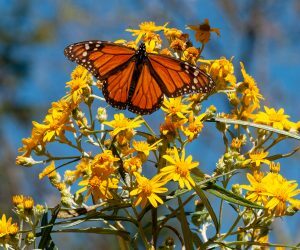 Enjoy colorful blooms all season long and shade-giving trees that bring many beautiful butterflies and other pollinators to your yard. For more information on creating a pollinator-friendly garden and which plants will grow best in your area, visit the Cincinnati Zoo’s Plant for Pollinators website! Interested in joining the Zoo’s Family Community Service Program? Sign up here! Bringing Nature Home: How You can Sustain Wildlife with Native Plants, by Douglas Tallamy, PhD, 2007.